Tanto si eres de los que compra productos veganos o simplemente quieres empezar a incorporar más productos cosméticos de “libre crueldad con el medio ambiente” en tu vida este post te interesará. Quedarás sorprendido por como todavía una cantidad descomunal de marcas son testadas en animales. Sin embargo, es muy fácil encontrar alternativas que son totalmente responsables con este tema. Hablamos de productos que no testan con animales y ofrecen ingredientes que no provienen de ellos. Gracias a la labor del blog de Logical Harmony que hace su propia búsqueda e incluye sólo aquellas marcas de las que están totalmente seguros que ofrecen productos veganos. Encontraréis más abajo la lista con marcas totalmente responsables con el medio ambiente. Sólo las marcas que han completado todos los requisitos al buscar en FAQs (preguntas frecuentes) y además contestar a las preguntas pertinentes (las cuales las empresas están obligadas a aclarar). Aquí os dejamos dos listas. Marcas totalmente responsables y marcas que no lo son (te sorprenderá). Para ver toda la información visita este link que te lleva directo al blog de Logical Harmony. ABBA Pure Performance Hair Care – It should be noted that they are cruelty-free, but their parent company is not. 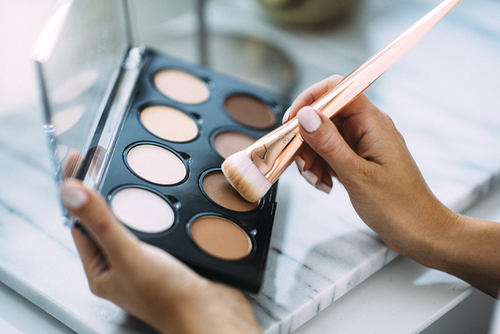 Bare Escentuals/Bare Minerals – It should be noted that they are cruelty-free, but their parent company is not. They also have some makeup brushes that are not cruelty-free. Beauty Blender – 100% vegan! Becca – It should be noted that they are cruelty-free, but their parent company is not. Certain Dri – 100% vegan! It should be noted that they are cruelty-free, but their parent company is not. DEMES/Demes Natural Products – 100% vegan! Eco Tools – 100% vegan! Kat Von D Beauty – It should be noted that they are cruelty-free, but their parent company owns other brands who are not cruelty-free. La Fresh Eco Beauty – 100% vegan! Mrs. Meyer’s Clean Day – It should be noted that they are cruelty-free, but their parent company is not. NARS – It should be noted that they are cruelty-free, but their parent company is not. NYX Cosmetics – It should be noted that they are cruelty-free, but their parent company is not. Ole Henriksen – It should be noted that they are cruelty-free, but their parent company owns other brands who are not cruelty-free. OSEA Malibu – 100% vegan! Personna – It should be noted that they are cruelty-free, but their parent company owns other brands who are not cruelty-free. Piggy Polish – 100% vegan! Pureology – It should be noted that they are cruelty-free, but their parent company is not. Seventh Generation – It should be noted that they are cruelty-free, but their parent company is not. Swagger Cosmetics – 100% vegan! The Body Shop – It should be noted that they are cruelty-free, but their parent company is not. TruSelf Organics – 100% vegan! Tom’s of Maine – It should be noted that they are cruelty-free, but their parent company is not. Too Faced – It should be noted that they are cruelty-free, but their parent company is not. Urban Decay – It should be noted that they are cruelty-free, but their parent company is not. Las siguientes marcas no son amigables con el medio ambiente o veganas. Esto querría decir que hacen testeos mínimos que obliga la ley o que usan ingredientes que están testados en animales. Estas marcas aparecen aquí porque además no verifican su afiliación con el testeo animal. Por favor, si eres responsable no apoyes a estas marcas.